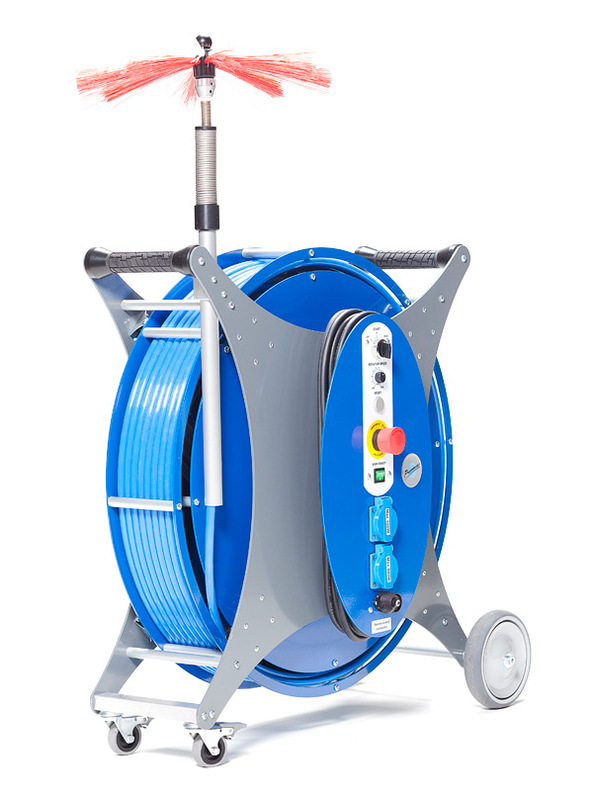 E20 with 20 meter reel is the ideal equipment for cleaning small ducts up to 400mm in diameter. Its compact size and rotating wheels makes for easy maneuverability in tight places. Its aluminum frame and compact brushless electric motor keeps the weight to a mere 30 kg, the lightest electric brushing reel in the market. The equipment is designed to be user friendly (wireless remote is optional), with adjustable rotation speed and bi-directional brush rotation created a small, light and versatile machine.